132 N. 21st, Melrose Park. Gordon-Van Tine No. 167, from the 1913 catalog. Scan courtesy of Cindy Catanzaro. This Gordon-Van Tine No. 167 is a very early kit house. It was likely built in late 1909 (the house was there in the April 1910 census). Gordon-Van Tine first offered the No. 167 in their 1910 catalog (which came out in fall of 1909). I believe this house was previously misidentified as a Sears Silverdale. The Sears Silverdale was offered for sale at the same time as the No. 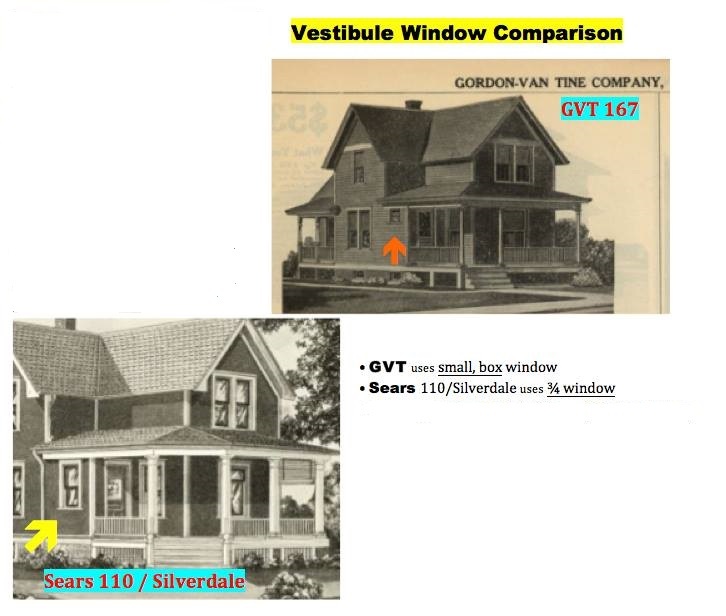 167, but researcher Judith Chabot notes that the house in Melrose Park has some clues that point to it being from Gordon-Van Tine rather than Sears. The Gordon-Van Tine has a small window in the vestibule and the Sears Silverdale has a 3/4-size window. With this angle you can see the small window in the vestibule. Graphic courtesy of Judith Chabot. She has clearly studied these models more than anyone else! Additionally, the porch roof line of the house in Melrose Park appears to match that of the No. 167. 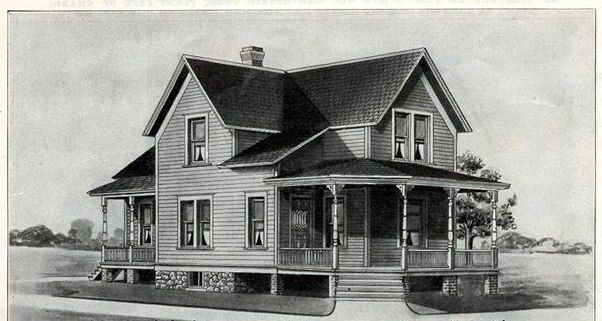 The early version of the Sears Silverdale had a sloping roof over the vestibule and a more segmented front porch roof. Our house has had the front porch enclosed, but it still can provide us with some clues of what it originally looked like. The porch of the Gordon-Van Tine No. 167 seems like a reasonable match to the house in Melrose Park. The Sears Silverdale didn't have the same porch roof as the Gordon-Van Tine model. It was in multiple segments and does not appear to match that on the house in Melrose Park. The original owners were George W. Powell and his wife Cora. George was a carpenter and would have been about 61 years old when the house was built (likely by him). George divorced his first wife, Pocahontas, in California before moving to Chicago and remarrying. The divorce was acrimonious. Pocahontas said that George "...had been in the habit of beating his wife, clubbing her, throwing lamps at her, and enjoying himself generally at her expense. He deserted her and their five children several times, but always came back for more exercise. Once, while drunk, he set fire to his wife's clothing." Sacramento Daily Union, March 1891. Pocahontas and George had four daughters and one son. The son, Daniel, lived for a time with his father and stepmother in Melrose Park. 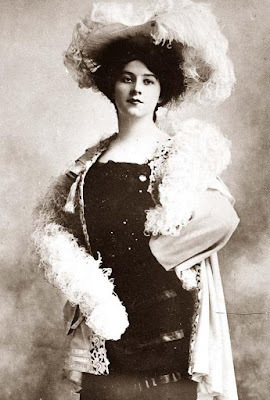 Their daughter, Anna Powell, at age 18 became a worldwide opera star under the name "Anna Fitziu". She was a celebrity and considered a great beauty. Anna was in the media spotlight and reporters often asked about her background. She invented a fictional deceased father named "John Fitzhugh" who purportedly was a grocer. George Powell was effectively erased from the biographies of Anna Fitziu even to this day. Cora Powell died in 1921 and George Powell was still in the house as late as 1925. Wow, what an interesting family story! Great research.